Some might suggest that once you’ve reached this pinnacle of no longer being bound to a cubicle, there’s little else you need in order to feel fulfilled. Think about it. You’ve obviously got the resources to feed yourself, clothe yourself, and keep a roof over your head. Arguably, you’ve made some friends along the way, and maybe you have a partner to enjoy life’s twists and turns with. As I approach the stage of my career where I could basically take it or leave it, these are the kind of thoughts that occupy my mind. Sometimes the pressure and stress of work get me daydreaming about quitting. And other times, when I feel a little appreciation and camaraderie, I think to myself that a career can be rewarding too. Look a little further below at the original Maslow’s Hierarchy of Needs. If you’ve retired early, then certainly the Feeling of Accomplishment has been met (assuming hanging up the “career spurs and saddle” mean anything to you). For most, at the moment of early retirement you’ve likely found love and maybe even have a kid or two (or three, or more). There could be some random things on your list of “big things to accomplish”, like climbing Mount Kilimanjaro, or running a marathon. Maybe you want to write a book? Regardless, you’ve met some key milestones in life by the time early retirement rolls around. The degrees on your wall, the stamps in your passport, and the time you’ve given to help others – all boost esteem to some extent. Self-actualization is the trickiest of all. I’d wager it’s a small percentage of people who spend the amount of energy they’d like in the peak of Maslow’s pyramid. I for one, would consider myself fortunate to have lived a life where I had the wherewithal to worry about my esteem / accomplishments. Sadly, for too many on this planet, just meeting basic needs like food, water, rest, and security is a never-ending quest. Abraham Maslow’s original intent back in 1943 was to illustrate a successive climb up a ladder of ever-changing needs. The assumption then was that you fully attain a level before moving up to the next, and so on. 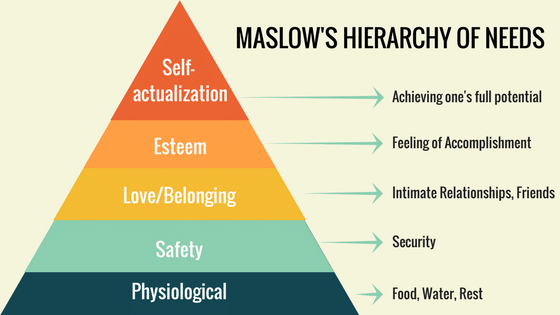 Reality is more complicated, and Maslow eventually admitted that it’s natural for one to move up and down the pyramid as circumstances change. Wars, famine, and disaster can all bring us down to needs we had come to take for granted. Does Early Retirement Help You Move Up a Level? Interesting question right there. For this, we’ll focus on the top three levels of the pyramid, since it’s assumed that having F-You money means you’ve got your Physiological and Safety needs met. We’ll come back to this, since many fret about whether they’ve saved enough to call it quits early. When you retire early, are you freeing up time for relationships that matter the most? Whether it’s your spouse, your kids, other relatives or friends? Or, is early retirement mutually exclusive of fulfilling the Love/Belonging level of the pyramid? When you retire early, have you achieved the goals you’d set out for yourself (Esteem level)? Or, does early retirement allow you the time and energy to finally start that small business, write the book, or train for that half marathon? On the flip, are you giving up the income you think you’ll need to achieve certain goals? And for the biggie – Self-actualization: Does early retirement allow you the time and energy to achieve your full potential? Another way to ask this question is this: Does your day job get in the way of letting you become the person you want to be?? Back to chewable question number 1, we financial bloggers have quite a community. Many venture off to FinCon every year, or, some of the many regional retreats/camps of like-minded souls. 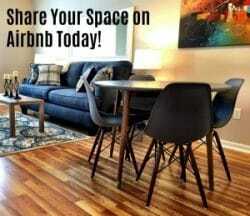 Friendships and real community bonds (a “tribe” if you will) continue to grow in our space. Having put these thoughts down, I’m wondering now if early retirement is merely a manifestation of Maslow’s Hierarchy, or an enabler of it? Or both? It truly depends on the person. In my journey, I’ve come across many examples of self-actualized people who never retire. So maybe, just maybe, retirement has nothing to do with it? Let’s assume that regardless of how you feel about early retirement and all the promises it holds, you take the plunge. What does your pyramid look like now? Have you truly elevated yourself up a level, or simply replaced old needs with new ones? Or more troubling, have you not changed your situation at all, or made it worse, unintentionally backsliding a level (or two)? Okay. Okay. This is, granted, a Fisher Price hierarchy of needs, but it’s MY hierarchy and I’m sticking with it. We’re going to take a leap of faith that early retirement presents a separate set of needs after financial independence goals have been met. Starting from the bottom and working our way up… The Money part? Well that should be patently obvious. In early retirement, we’re now consumed with the ever-present question of whether we’ve squirreled away enough money to last until our end. If money continues to haunt you after dropping out of the rat race, you probably shouldn’t have dropped out. On the other hand, if you’ve established lucrative side hustles and have stashed a significant amount of coin away, then the Money part is an easier rung to climb. The Health equation comes next. Healthcare is not a public good. Far from it. Better to have your insurance coverage figured out and better yet, have some healthy habits to keep you humming along. Now, go pick up a copy of Blue Zones and call me in the morning. 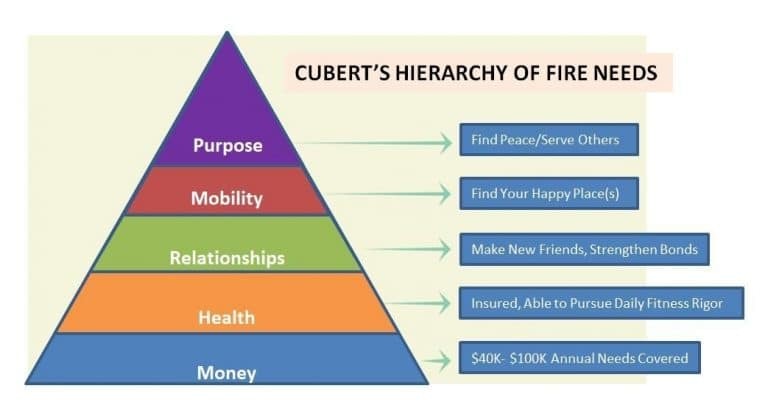 In all seriousness, the “Health rung” of Cubert’s mighty pyramid is where early retirement starts to yield some real promise. You’ve cleared the money hurdle, now you have an opportunity to make hay with all that time and newfound energy. The time is NOW to start hitting that home gym, hopping on the bicycle, and turning your day-to-day life into one of sheer physical exhaustion. You’ll never sleep better. Relationships can now be cultivated with a mind and body at peace. You’re able to give more of yourself with newfound time and energy. There are books to read and mentors to build your wisdom. THIS is the hardest rung of the ladder because it’s filled with riddles. BUT it is also the most rewarding. Most of us would be pretty satisfied with meeting money, health, and relationship needs in early retirement. After that? Well, there’s always more to be desired. In an age of travel with relative ease, Mobility is an understandable “need”. We had a whipsaw blizzard just come through Minnesota this past week. And it reminded me (as spring often does) how much location plays a role in my personal yearnings and present state of wistfulness. The freedom to move and travel are luxuries. Time will tell, but I’d bet that we’ll keep Minneapolis in the mix, as it’s a location with decent roots established. But I can guarantee the winters will be spent elsewhere. Arizona, Nevada, Florida, anywhere but here. Mobility is a luxury, but until I’ve mastered the basic tenets of Buddhism, I’ll continue to piss and moan about snow in April. The final layer of icing is purpose. Get to this rung and you’re in supreme position to give more of your time, energy, and resources to others in need. IF you’re less of a whiner than me, you might achieve mobility, but choose to stay put and devote even more energy to relationships and good causes. Ultimately, you’ve found peace: Peace with your decision to leave the workforce, peace with others, and peace with your situation and limitations. And in that peace, you’re able to reflect back and feel not an ounce of regret because of the work you’ve done to prepare yourself, and the investments you’ve made in relationships that matter. It’s entirely possible to work for several decades and still achieve Cubert’s (or Maslow’s) Hierarchy. Entrepreneurs and high achievers with a passion and dedication to their craft just might find the balance they and their orbits require to meet the pyramid’s pinnacle. The nut to crack for most of us is this: Careers are not easy to navigate over the long term. At most points it’s a challenge. And it’s a further challenge to somehow balance the hierarchy of needs when so much of your time and energy are locked up in your career hamster wheel. 32 hour work week, anyone?? The punchline? Whether or not you work a cubicle job, -a- hierarchy of needs will still be there. The question always comes back to this: Does early retirement help you transcend a level, or does it simply create an entirely new set of needs you hadn’t anticipated? Maybe at work tomorrow you’ll find time to have coffee with a colleague/friend you haven’t talked to in a while. And you’ll ride your bike to work? Previous: Putting it All Together: Cheap Travel! This is the right article at the right time for me, Cubert. I’m getting very close to an extended mini-retirement I’ve been telling myself will help me reach the peak of the pyramid. I won’t be going the full FIRE route, but I still need that solid foundation in money and health for a significant amount of time, so it doesn’t distract me from focusing on the rest. Great perspective… as usual! Good article ! I suppose my first overseas posting (Nigeria) where, for many, putting food on the table was a major priority helped me get a decent perspective on what my future needs and accomplishments might (or should) be. Consequently, with all those potential needs/luxuries pegged back I have ever since lived a fairly simple if not frugal life – very little planning involved and living each day happily as it comes. Retirement is not as financially draining as people might imagine so long as you keep things basic. We’re both healthy and active and, ironically, our main objective nowadays is putting good food on the table – thank you Nigeria for teaching me firsthand a most valuable life lesson ! I’ve heard you mention mobility a few times in the blog. If you decide to winter somewhere else (indeed we plan on doing the same in the summer when baby DB40 is out of school), you’d have a friend in Arizona if you wanted to winter here. It’s tough. For the most part, my life after ER is pretty similar to my cubicle life. I don’t think I moved up a level yet. It’s a long process. ER made life less stressful for me, but it’s still life. There are challenges even after ER.